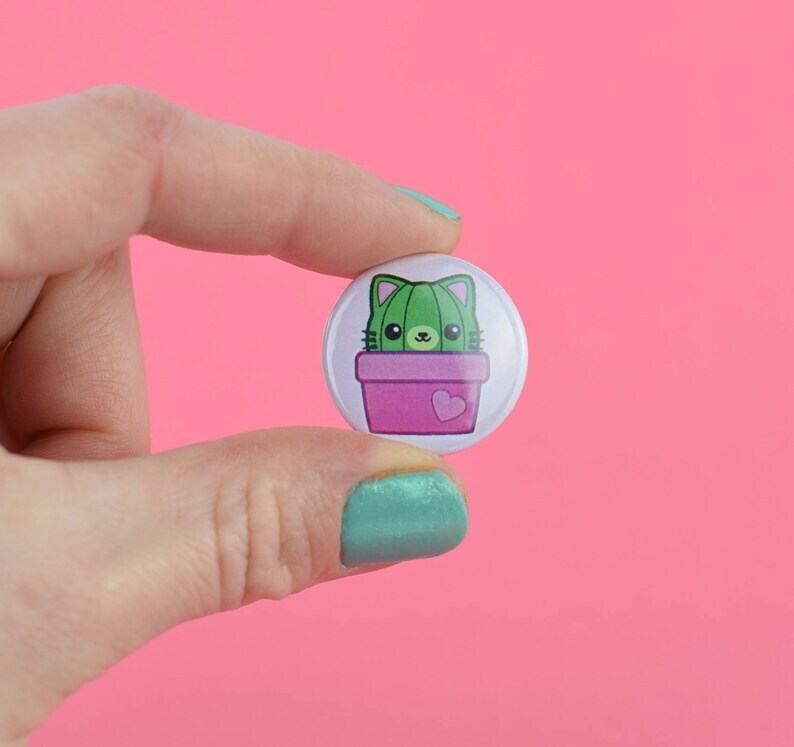 Quality pinback button featuring our cute cactus kitty design on light pink background. 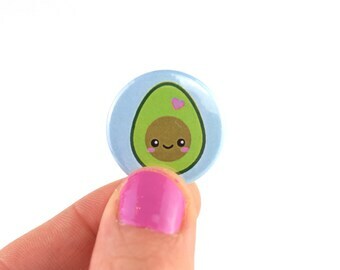 The kawaii button measures 1 inch (25 mm) and can be attached to your bag, jacket, vest or anything else you can think. Listing is for one (1) button. Please choose the desired amount of buttons out of the drop down menu. Feel free to ask about custom buttons! So lovely! Thank You so much for everything! Total niedlicher Button. Großartiges Preis-Leistungs-Verhältnis!